You sound to us like you’re a FoodCycler! 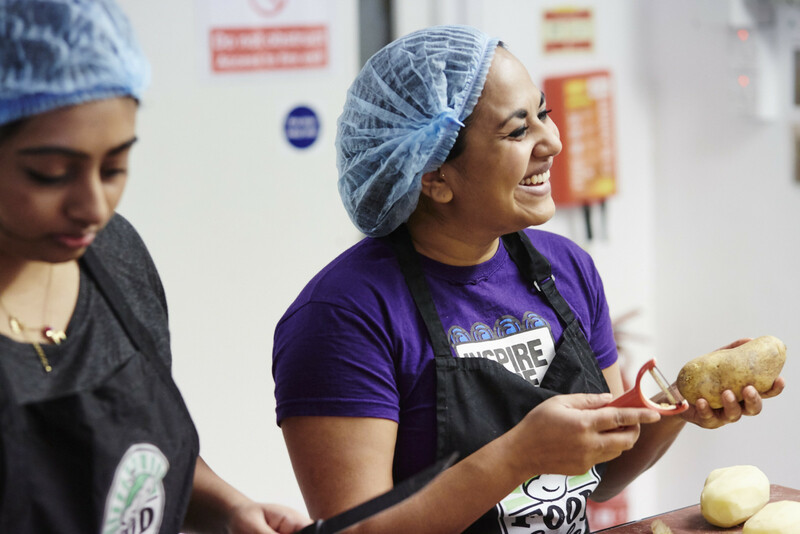 Whether you’re a Masterchef winner in the making or a cooking novice, everyone over the age of 18 is welcome to volunteer with FoodCycle. Roll your sleeves up, sport a fetching hairnet and join the kitchen team to produce a three-course vegetarian meal using surplus food. You’ll be peeling, chopping, frying, mixing, boiling, serving and washing up. But most of all, you’ll have a lot of fun. You don’t need to have any previous cooking experience, you just need to get stuck in!